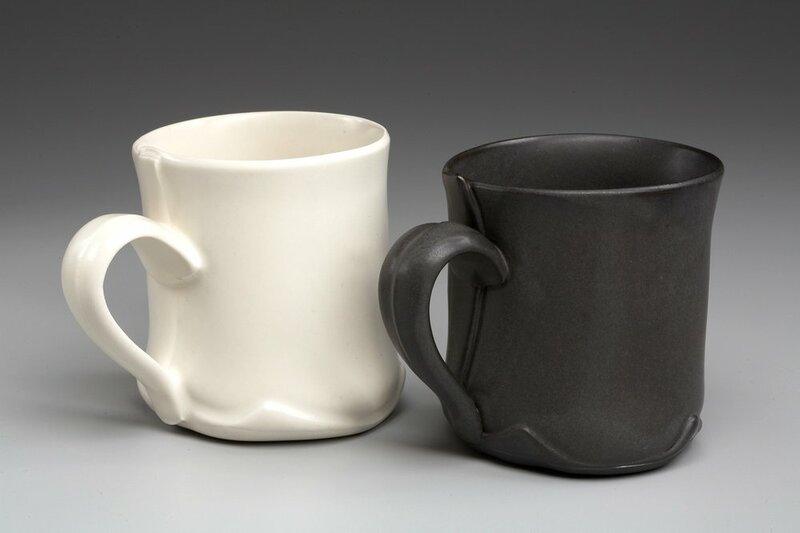 Margaret Bohls — White and Black Ware - Hand built utilitarian pottery made with porcelain slabs. This is a body of simple utilitarian pottery that I designed as a deliberate counterpoint to the more elaborate and decorative “Bumpyware”. 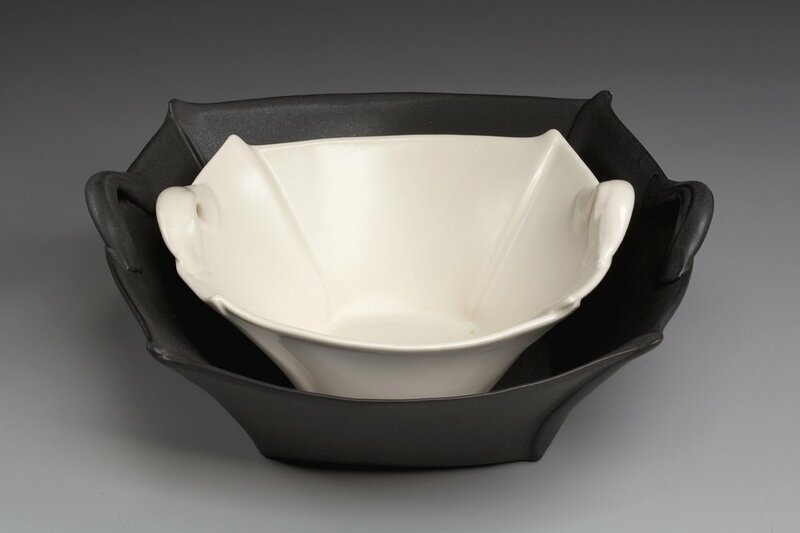 This work is simply made using smooth porcelain slabs. The edges of these slabs are left visible and create a simple network of lines that “draw” the forms in space. The glaze palette is deliberately monochromatic and satin or matte in texture. This, in order to allow the simple forms and edges, and the shadows they create, to be clearly seen and read. 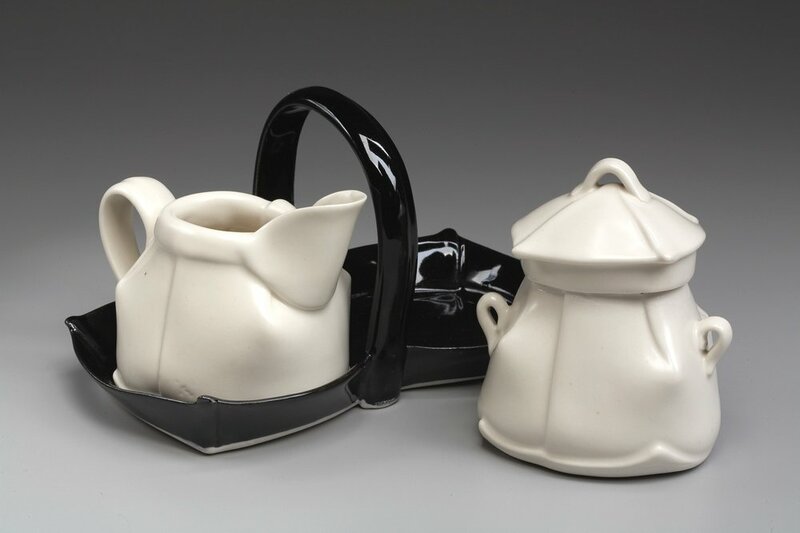 My visual sources for this work include mid-century manufactured tableware designed by Eva Zeisel and Russel Wright, however much of the form language of these pots developed in response to the slab-building process and the physical qualities of the soft porcelain slabs.